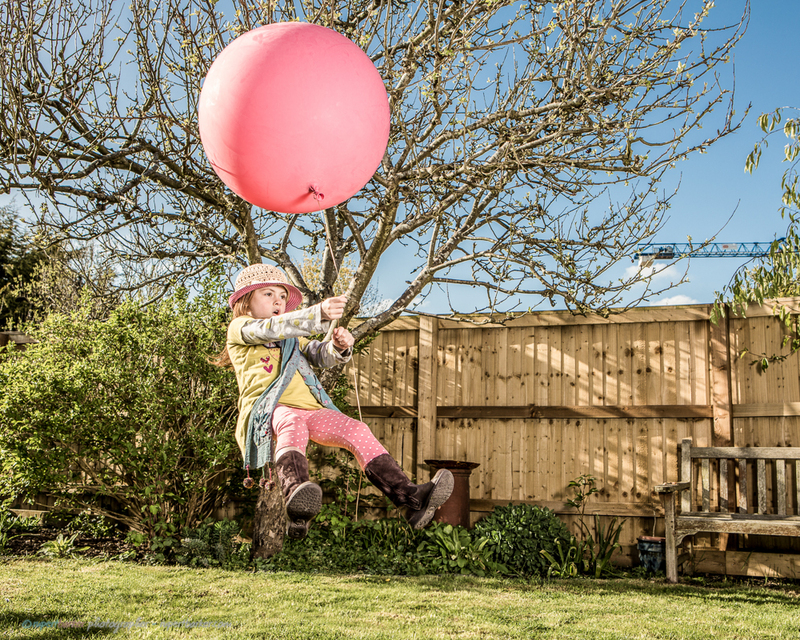 Ever since we came home from Auntie Natasha’s 40th Birthday with 2 enormous pink balloons I knew I had to get the children flying round the garden. 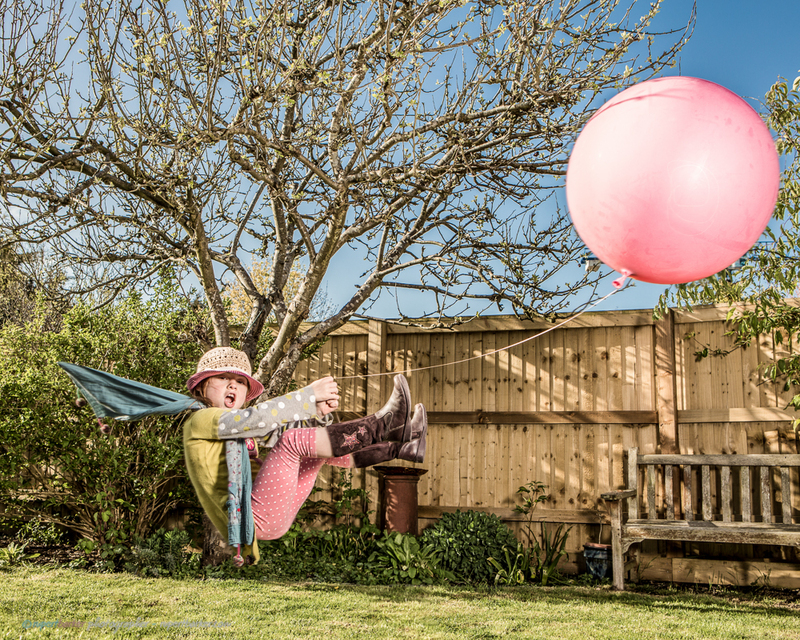 Here’s Tallulah, my first born, flying under a pink weather balloon! But of course with any such stunt I had to check its safety first! Bank Holiday fun at Barker Towers! 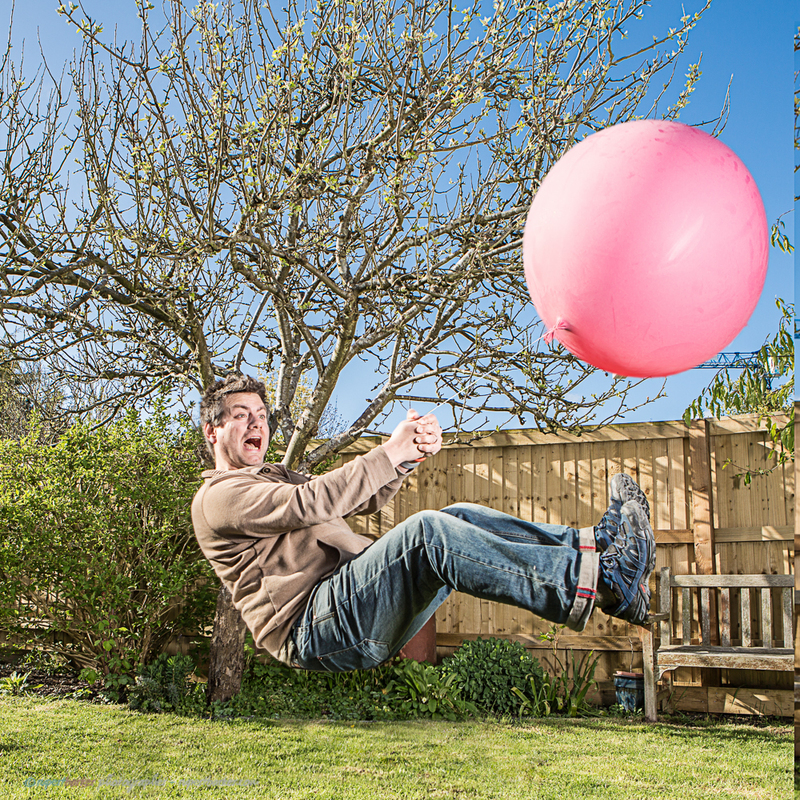 If anyone saw the giant pink balloon flying over Malmesbury at around 6pm yesterday, that was the moment the shoot finished!! !